On Thursday, May 19th, Presidents of the Legislative Bodies of Central America and the Caribbean Basin (FOPREL) held an urgent meeting in Managua, Nicaragua. The meeting was to discuss the ongoing Belize-Guatemala territorial dispute, and served to find a diplomatic solution for both countries. Nicaragua’s President of the National Assembly, Rene Nunez Tellez, hosted the discussion and witnessed the agreement made when Speaker of the Belize House of Representatives, Michael Peyrefitte, and President of the Congress of Guatemala, Mario Taracena, signed a declaration of peace. 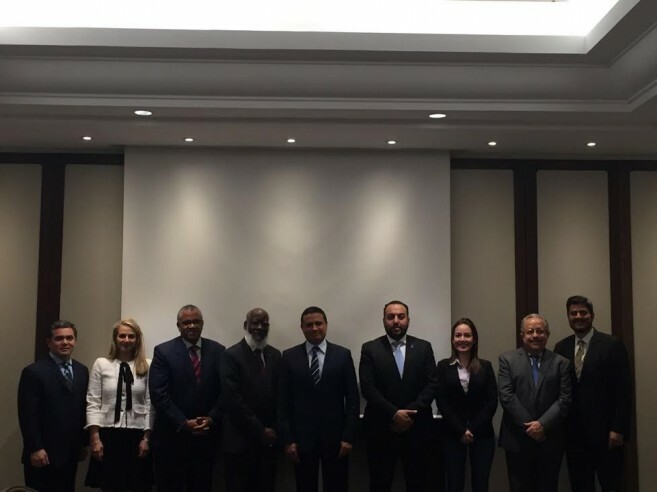 Representatives from other countries such as El Salvador, Honduras, Costa Rica, and Nicaragua attended the meeting and were mediators between Peyrefitte and Taracena. The declaration itself indicated six points, which both countries agreed to comply to. The first point is a reaffirmation by FOPREL to deepen and unite its desire for peace, freedom, democracy, development, justice and political participation of its people. The second point is a request for both countries to promote and facilitate the solution to all disagreements via dialogue and parliamentary diplomacy in accordance with due process and international agreements. The third seeks to offer the offices of FOPREL as a contributing factor to the two countries with the goal of strengthening diplomatic ties. Fourthly, FOPREL encourages both nations to support the ongoing processes under the support of the Organization of American States. The fifth point serves to encourage Guatemala’s Congress to promptly consider the ratification of the protocol signed with Belize in May 2015, where the 2008 Special Agreement was revised. The sixth point of the declaration welcomed the initiative of Peyrefitte and Taracena, as well as the President of the Nicaraguan National Assembly, Rene Nuñez, in facilitating this approach, hoping that cooperation and peace will flourish in the region. The Belize Council of Churches (BCC) has given its full support to the Government of Belize in finding an effective resolution to the territorial dispute with Guatemala. The BCC recently held a press conference at the Innovative Technical and Vocational and Educational Institute in Belize City, which explained that Government of Belize (GOB) is making the right choices in trying to find a peaceful solution to Guatemala’s recent acts of aggression along the Sarstoon River. The BCC is working on collaborating with churches in Guatemala, and are also calling for a national day of prayer on Sunday, May 29th. The BCC invites all Belizeans to join in and pray for a peaceful solution to the dispute. Among other supporters, the Caribbean Community (CARICOM) has expressed solidarity and support for Belize. 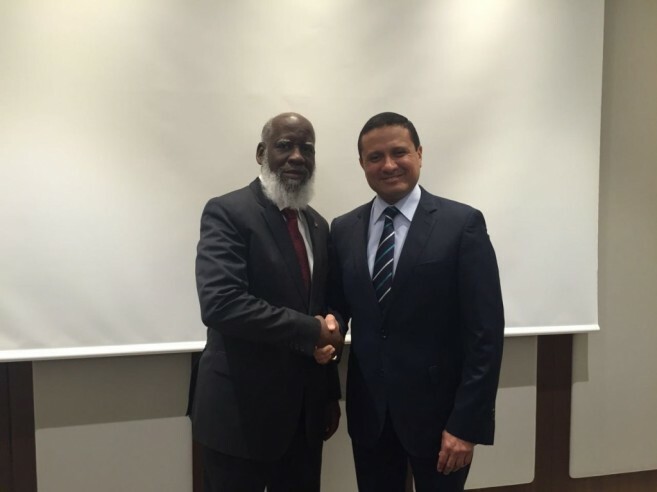 On Monday, May 23rd and Tuesday, May 24th, a meeting to discuss the bilateral agenda between Belizean and Guatemalan Foreign Affairs Ministers, Wilfred Elrington and Carlos Raul Morales, took place in Istanbul, Turkey. Both ministers met at the World Humanitarian Summit held by the United Nations Secretary General in Istanbul, and several issues relating to recent tensions between both countries were deliberated. The meeting was also held in the presence of the Representative for the Organization of American States (OAS), Magdalena Talamas, and the Secretary General, Luis Almagro. According to a press release from the government, both Foreign Ministers expressed their commitment to peace and good faith. Both ministers also stressed that once approved by referenda, the agreement pertaining to the territorial claim over Belize should be resolved by the International Court of Justice (ICJ). In the meantime, and even after the dispute is settled, the Ministers both agreed that their countries will develop and promote good relations encouraging peace, stability and economic development for both nations. Also, the Ministers recognized the urgent need for a teamwork mechanism, and the need to prevent incidents in the border areas that affect the confidence building measures agreed upon in 2000, 2003 and 2005. They also discussed the possibility of having joint training for the troops from each country stationed in the Adjacency Zone. Following the meeting, the GOB asked the Governor General His Excellency Sir Colville Young to sign a Statutory Instrument to revoke the Sarstoon Prohibition SI, which had disallowed Belizean citizens from entering the Sarstoon River. While the formal instrument is still being worked on, the both countries have informally accepted the unrestricted traffic for Belize's military and civilians along the Sarstoon. In conclusion, both Foreign Ministers commended each other for the agreements reached and expressed their commitment towards dialogue and the creation of a positive bilateral agenda, which is in line with the advancement of the process mentioned in the Special Agreement to submit the Territorial, Insular and Maritime differendum to the International Court of Justice signed in December 2008.